One of the best things about joining Tableau at the beginning of the year was that I got to be a part of the inaugural Tapestry Conference in Nashville. For those of you who don’t know, the goal of Tapestry is to bring together a handful of journalists, academics and practitioners who are all interested in this emerging thing called “data storytelling”. Tapestry’s rookie year was a big success, and I’m excited that we just announced it’s coming back for a sophomore season. What was so great about Tapestry 2013? Great speakers meant great presentations. Watch the videos and see the slides on the Tapestry blog. My favorite was Nigel Holmes on “Why 29 is such a stunning number“. Small group meant one experience. Everyone in the same room, all experiencing the same conference. No professional tracks. No decisions about where to go. Well within Dunbar’s magic number, so you actually get to know people a little. Boutique venue meant intimate experience. This isn’t your standard convention center experience. No herds, no vendors scanning badges, no forklifts hauling in boxes of swag. Last year we hung out in a converted train station. Seemed like an appropriate place to discuss storytelling. One of the best aspects is that many attendees also presented demos, and this year there will also be a poster session. What excites me most about Tapestry 2014? We’re building on the momentum of last year. Tapestry was an unknown thing in 2013. This time it’s on people’s radar. All three of the above still apply to this year’s conference. Keynotes by Alberto Cairo, Aron Pilhofer and Jake Porway. That says it all, no? Keeping it real…small. Dunbar’s number won’t be broken for a 2nd straight year. 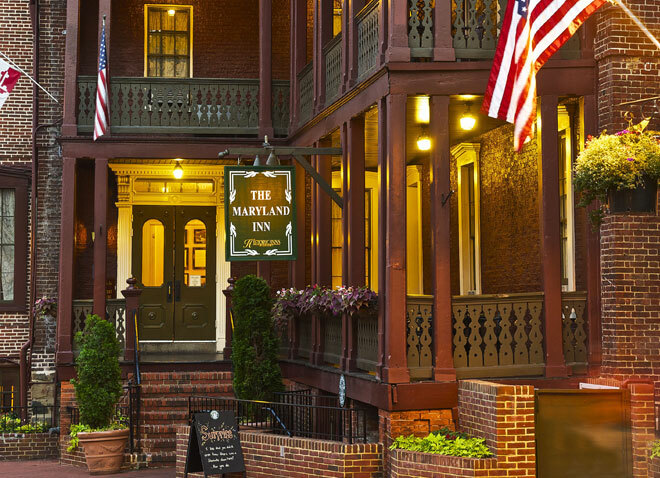 Next year we’ll be staying at the Historic Inns of Annapolis. Check out the website to get a sense of the setting. There’s been a lot of focus on “Data storytelling” in the past year, so there should be even more material, tools and ideas to discuss. It’ll be a little bit like Willy Wonka’s Golden Ticket due to the limited space (100 will technically fit in the meeting room, but only barely), so if you want to go, submit a request for an invitation on the Tapestry website and keep your fingers crossed. Bonus points if you have something to contribute in either the demo session or the poster session. Tweet about it using the hashtag #tapestryconf, and get involved in the extended conversation.